Elizabeth @ Live it Love it Learn it, a new blogger, asked for my advice about blogging so I thought I’d write a post about the topic in case there are other new bloggers looking for suggestions, too. For the site, Free Text Readability site, you cut and paste 100- 150 words from one of your post to check the readability level of a specific post. This is also something you can do with your students’ stories. For the Juicystudio site, you can test the readability level of your blog. 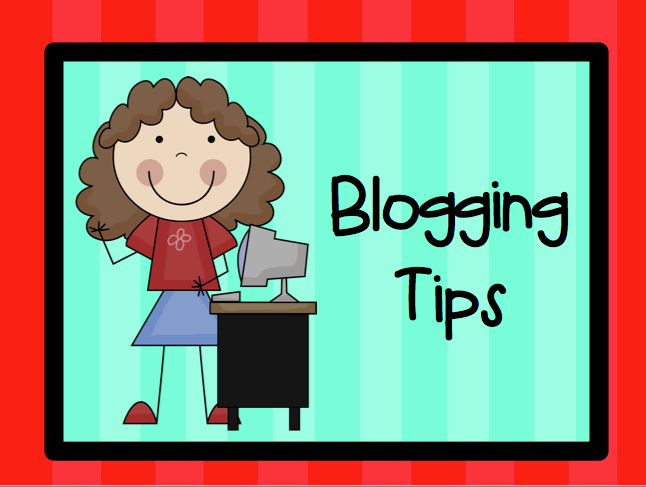 One of the tips I read said you should try to write on a 6th – 8th grade level when blogging. People come to your blog to be entertained, get inspired, and find ideas. Your blog should feel like you are having a conversation in the teacher’s lounge or a neighborhood Starbucks with a friend. It shouldn’t feel like you are writing a paper for one of your professors in grad school. Think about it! Do you like to write papers for grad classes? No, right? If you write every post like you write your grad papers, will you feel like writing on a regular basis? No! Plus, no one will want to read it if it sounds dry and academic. Remember this is a casual conversation between two friends. Another tip I read, but have trouble following is to write in short paragraphs. Blog followers tend to be skimmers. They read when they are on the go. They read when they are waiting for their daughter at dance class or they have a few free minutes before a doctor’s appointment so short is best. *Text should begin at the left. Save centered text for captions under pictures. *Font is one of the overlooked things because when we are typing our post in blogger, the font isn’t the same that our readers see on our blog. I cut and pasted the same post using two different fonts. 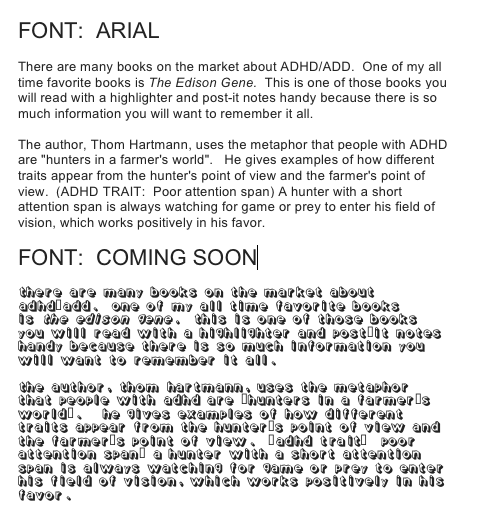 Look and see which font you think is easier to read. The general rule is to use a basic font like Arial, Times New Roman, Trebuchet, or Verdana for the body of your post and use artistic fonts for the titles of your posts. I hope you find these tips helpful. Farley @ Oh! Boy Fourth Grade wrote a great post about the stages of blogging that you should read. It really does explain the stages that many bloggers go through. Good luck on your journey! For more tips, click on the picture below and visit Fern’s Thursday’s Tech Tips for Teachers. I am linking up with Erica’s Ed-Ventures. She shares great advice for teachers who have been thinking about being a seller on Teacher Pay Teacher. Thank you for sharing your insight! I am looking for tips and suggestions all over right now. I just started! P/S I am your newest folower! Thank you for linking up this week at my Thursday's Tech Tips for Teachers and showing my follower such a terrific tip!